For one man, this nightmare is a stark reality, one which a number of Americans have to wake up to for the rest of their lives. Can you imagine being a senior citizen, disabled veteran, suffering from a host of debilitating conditions, seeking relief from cannabis, and being sentenced to die in prison for possession? For one man, this nightmare is a stark reality, one which a number of Americans have to wake up to for the rest of their lives. Growing about a dozen plants behind his son’s house in Alabama, Brooker was not a drug dealer. He was 75-years old, a disabled veteran, and trying to ease his own pain. How can the state justify throwing him in jail for life? As Jesse Wegman explained it to the New York Times, “[Brooker] said the plants were for his own medicinal use only – he suffers from multiple chronic ailments – and prosecutors did not dispute that. Remarkably, they didn’t have to. Alabama, like three other states, mandates a life without parole sentence for simple possession of small amounts of marijuana by people with certain prior felony convictions – and Mr. Brooker had been convicted of a string of robberies twenty years earlier in Florida, crimes for which he served 10 years in prison. In such a case, the law doesn’t require prosecutors to prove any intent to sell the drug. Yes. Brooker is now serving time for possession, as well as crimes he has already served a sentence for. The situation is rare, but not an isolated incident. Others have faced similar weighted odds, including a 19-year old boy in Texas who faced 99 years in prison for a batch of weed-infused brownies. The police charged him with the weight of the entire batch of brownies, including the container in the case, as being marijuana. Luckily, the sentence was overturned. Why do we have these mandatory sentencing laws? More and more are questioning the logic. A 2014 study from Peter Reuter at the University of Maryland and Harold Pollack at the University of Chicago sought the answer to that question. They found no evidence that harsh punishments are more effective in reducing drug use and trafficking than lenient penalties. In Brooker’s trial, even the judge felt sullied by the sentence he was forced by law to deliver. “[I]f the court could sentence you to a term that’s less than life with no parole, I would”, Judge Moore said. “In my view, Brooker’s sentence of life imprisonment without the possibility of parole for a non-violent, drug-regulated crime reveals grave flaws in our statutory sentencing scheme,” Justice Moore wrote in his opinion on the case. Judge Moore is a notorious conservative, and staunchly against gay marriage. If even he thinks that the sentence is too much, then Alabama has some serious issues. Yet it isn’t the only state where this happens. Similar laws exist in South Dakota, Louisiana, and Mississippi. The sad fact that in 24 out of 50 states, he would have had no problems, has to be a bitter pill to swallow. Attorney Robert McVay says it is the lack of room for interpretation in the law that forces the court’s hand in sentences like these. Brooker appealed his sentence to the US Supreme Court, who denied the request to review the case. Brooker states that life, and ultimately death in prison is cruel and unusual punishment, violating his 8th Amendment rights. The denial to review the sentence means that the United States government condones the punishment of life in prison for cannabis. 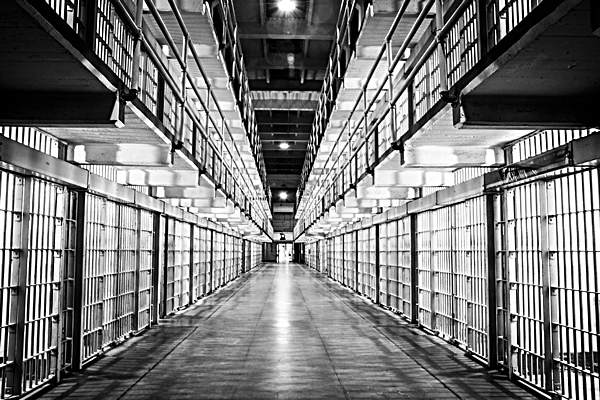 Do you agree that it is time to reform mandatory minimum sentencing laws? Do you know someone who’s life has been impacted by this draconian practice? Let us know on social media or in the comments below.